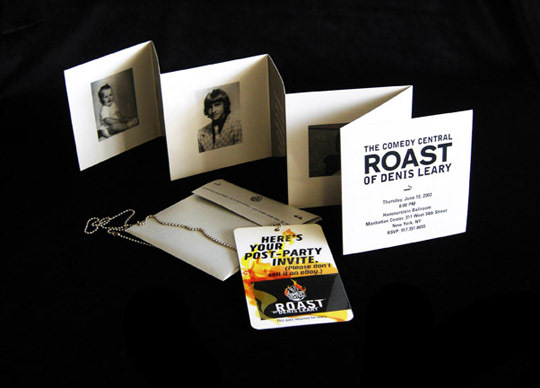 Comedy Central: "The Roast of Denis Leary"
Denis Leary was to be roasted- so why not literally light him on fire? 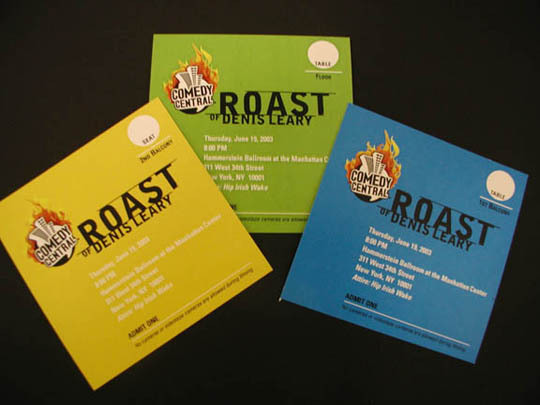 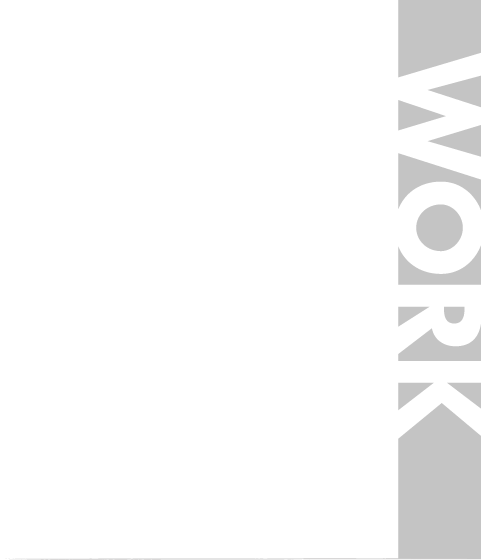 Hence, the burnt edge die-cut save-the-date postcard – perfect for a guy that has a Firefigher's Foundation. 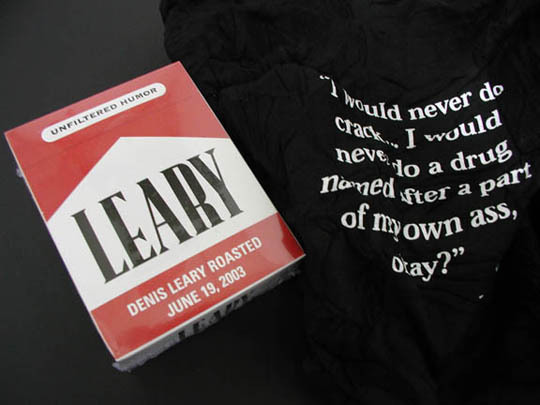 The compressed T-shirt was packaged as homage to his signature cigarettes.